While rival automakers such as Bentley have already release plug-in hybrid models, Rolls-Royce is sticking with its commitment to the internal combustion engine. The luxury carmaker has expressed interest in electrification but the will skip right past hybrids and move into fully electric vehicles. Speaking to CarAdvice, Rolls-Royce CEO Torsten Muller-Otvos said, electrification is inevitable but will only happen once the technology advances. Rolls-Royce vehicles are extremely heavy, so battery technology needs to improve in order to offer sufficient range for longer trips. What good is having one of the most luxurious cars in the world if your chauffeur can only drive you 200 miles before needing to charge up? We've always believed Rolls-Royce would be a top candidate to build an electric car because electric motors are smooth and quiet enough to replace a V12 engine. 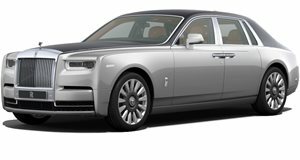 As it turns out, noise and refinement aren't a big concern for Rolls-Royce "because our V12s are already whisper quiet, so it's about emissions compliance so the cars can enter centers and other relevant public venues," Muller-Otvos explained. If you can remember, Rolls-Royce has already experimented with the idea of an EV in the form of a concept car called the 102EX. "Just over four years ago we built up a fully electric Phantom and while the customers said it was great, many saw little or no difference to the V12 power we already offer, such was the level of engine refinement and insulation in the car. That’s not to say we are still not working on our internal combustion engine, because in the latest Phantom 8 we have a new V12 engine and it’s even quieter," Muller-Otvos said. Having experienced the 6.75-liter twin-turbo V12 in the Cullinan, we can say it's close to as silent as an internal combustion engine could ever be. Even so, Rolls-Royce will eventually release an EV in the coming years. "Let’s put it this way, Rolls-Royce will produce its first full EV in the next decade, which isn’t all that far away. We are working on it, but there’s still plenty to do when it comes to charging infrastructure both at home and in the public domain before we have a workable solution for our customers," Muller-Otvos said.